For members of the Windrush generation or others with a right to be in the UK but no documents to conclusively prove that, the government’s “hostile environment” policy has vastly upped the stakes. But at the heart of many of the problems faced by members of the Windrush generation lies the sheer intransigence of the Home Office in its approach to evidence of status. As Adrian Berry, ILPA chair, explained in his recent evidence to the Home Affairs Committee: “the cogency of the evidence and the level of the quality of the evidence that is required [by the Home Office] […] is the problem”. Some might think this is putting it politely. At least until the government published new guidance on 24 May, its approach to the evidence required was at best harsh, and at worst wholly unreasonable. The new guidance appears to indicate a more considered approach to evidence but that will not necessarily deal with poor decision-making by officials. And it does nothing to address the absence of a right of appeal or access to legal aid where applications under this new scheme are refused. Those who came to the UK on the Windrush are likely to be British citizens. But the problems are not confined to this group, and appear to extend to many who came to the UK as migrants in the 1950s, 60s and 70s. As the new guidance recognises, the precise status enjoyed by such migrants may vary. Those who were not already citizens may have entered the UK before current immigration controls were introduced on 1 January 1973, and have remained lawfully thereafter without needing to take other steps. Many who came after that date may have been granted indefinite leave to remain (ILR) but have not retained the document to show that some 40+ years on. What all these groups have in common in legal terms is a permanent legal entitlement to be in the UK. Their practical problem is that the Home Office does not believe them. But that does not alter their legal status. The Home Office does not have a discretion to believe them or not. If it gets the facts wrong, and treats them in a way that does not properly recognise their legal entitlement, it breaches the law. This means that such persons have a remedy which seems to have been so far overlooked. Whether or not an individual enjoys a legal right of this kind is not a matter of Home Office discretion, a challenge to which by judicial review would be limited to Wednesbury grounds. It is a matter of precedent fact, to be determined by the court (including in proceedings for judicial review) as a matter of primary fact (R v SSHD, ex parte Khawaja  1 AC 74, Harrison v SSHD  EWCA Civ 432). A claim that a person is a citizen should be brought in the Administrative Court, whereas a claim that a person has indefinite leave to remain should be brought in the Upper Tribunal (Immigration and Asylum Chamber), but the basic nature of the claim is the same. A judicial review on precedent fact grounds is quite different from other kinds of judicial review. In most claims for judicial review, the court does not decide the facts for itself, and simply asks whether the Home Office’s factual conclusions are “irrational” or whether the decision was made with due regard to Home Office policy. But in a precedent fact case, the court has to carry out its own independent fact finding. A claimant can give evidence (for example, that they did not leave the UK between 1973 and the present) and if the Home Office disputes that it would have to apply to cross-examine. The judge simply decides whether the claimant is to be believed. Home Office policy is largely irrelevant, and the court is free to disregard it in making its own factual findings. The right to bring a claim of this kind bypasses the absence of any right of appeal. Indeed, the abolition of appeal rights removes the need to wait for an appealable decision and avoids arguments over alternative remedies. And for the reasons just explained, it reduces the importance of Home Office policy. It has a further important consequence: legal aid is still available, as of right, for meritorious judicial review claims. A claimant who qualifies for legal aid on financial grounds, and who has a reasonably credible claim that they have status here (which may turn simply on date of entry), will for that reason have a meritorious claim for judicial review for which legal aid will have to be granted. 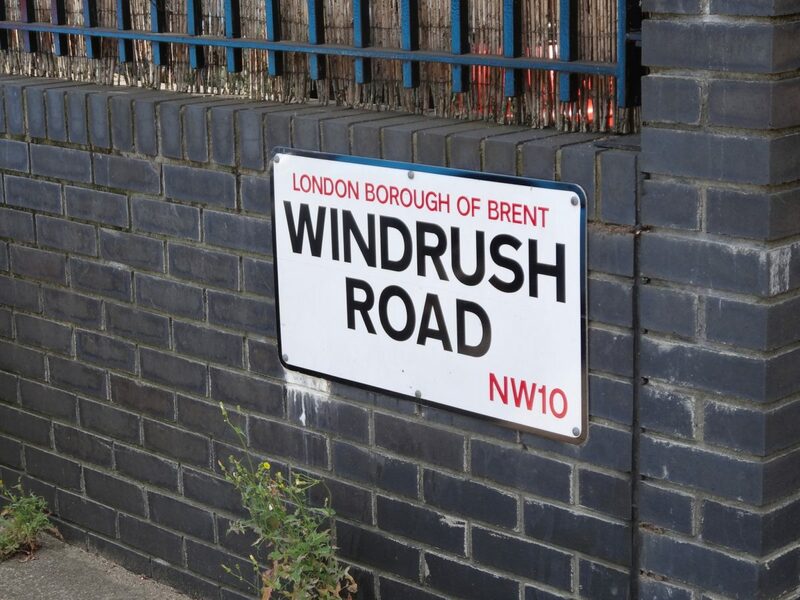 It may be that claimants will be well advised to seek recognition through the Windrush Scheme opening for applications today, which will hopefully resolve some cases quickly and painlessly, at least if there is no pressing urgency about going to court immediately. But where such applications do not succeed, or if problems with that process emerge, any refusal can be made the subject of a claim for judicial review on precedent fact grounds. The Home Office may be right to say that there is no right of appeal but a claim for judicial review does in effect give the same remedy, of access to a court which can decide the issue of fact for itself (just as a decision to refuse a passport, or indeed an NHS decision to refuse access to healthcare, can likewise be the subject of a judicial review on the facts). At least for those whose financial circumstances entitle them to legal aid, this remedy is just as effective as an appeal on the facts. Tim Buley is a barrister at Landmark Chambers. He specialises in all areas of public and regulatory law, and is well known for acting for claimants and NGOs in all areas of immigration law including human rights and asylum, detention and business immigration.